In Copenhagen major buildings in brick survive from the early 17th century, or earlier, but the most prominent are from the 19th and early 20th century. 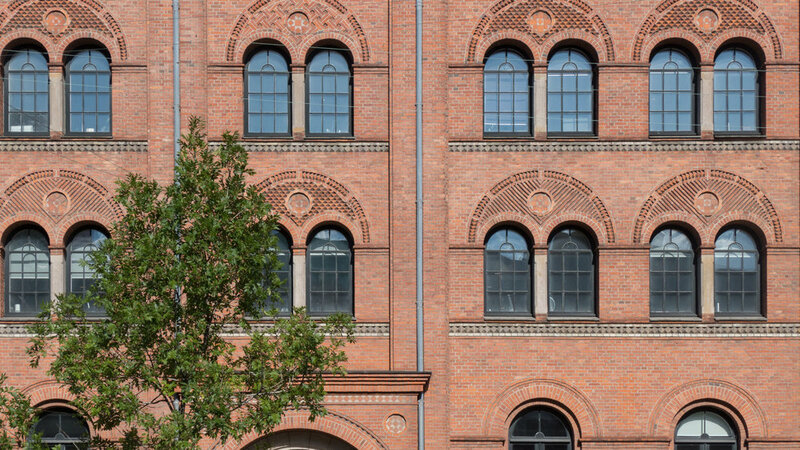 There are a range of styles or fashions in these brick buildings and high-quality brickwork can be seen on all types of buildings from major industrial buildings to churches and from some of the most impressive early social housing through to apartment buildings for the wealthy …. but the important points are more general: brick is a durable building material - so in Europe and Africa and the Middle East huge Roman constructions in brick survive after 2,000 years - and bricks have been used throughout the World so brick is a common building material. And brick as a building material is relatively cheap so what is important with brickwork is the imagination of the architects and builders and the skills of the brick makers and brick layers in using a simple material. Walk around Copenhagen … the buildings around Israels Plads or along H C Andersens Boulevard are a good place to start … and you realise what a huge force of skilled artisans there were in the city to achieve such an extensive and impressive rebuilding and expansion of the city after 1870.